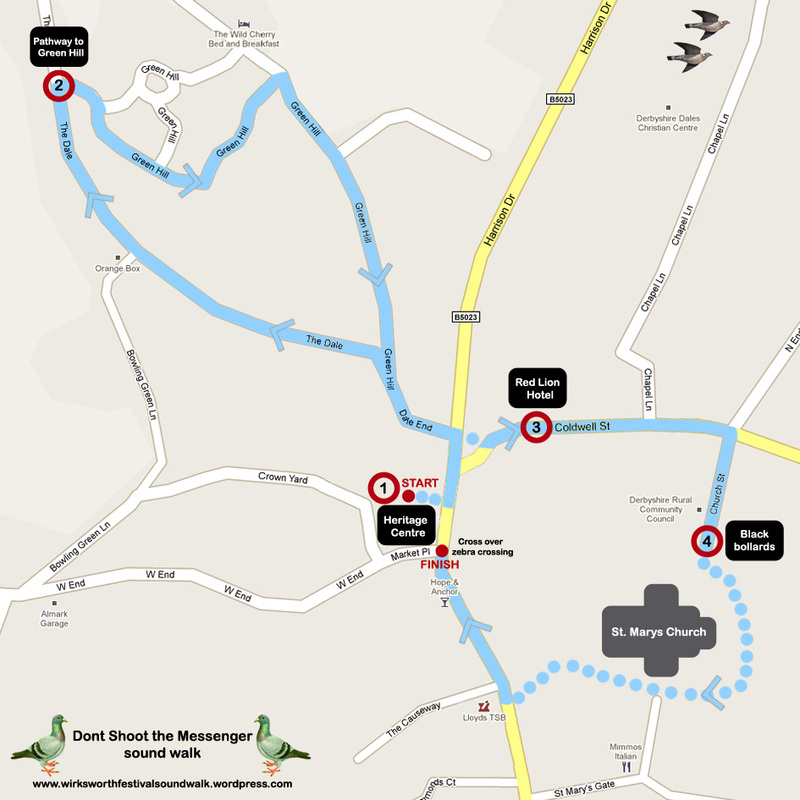 Don’t Shoot the Messenger is a site specific binaural audio sound walk for Wirksworth Festival based on the notion of a pigeon’s perspective looking down onto the city. The walk takes the form of a tour guide around the city to include ambient sounds, music and interviews with local residents and commuters in 2010. Download all tracks (above) and add to an audio device to listen to in Wirksworth town. Each track has 10 minutes of silence at the end to enable listeners to have more control over the pace of the walk. The total sound walk will take between 15 – 20 minutes to complete. Walk With Me is a site specific binaural audio walk, commissioned for the grounds of Nottingham Castle Museum & Art Gallery in 2009. The narrator shares stories from the past and present by weaving together historical information and modern observations to create an audio tour with a difference. Download the track (above) and add to an audio device to listen to at Nottingham Castle. The sound walk will take between 10 – 15 minutes to complete.